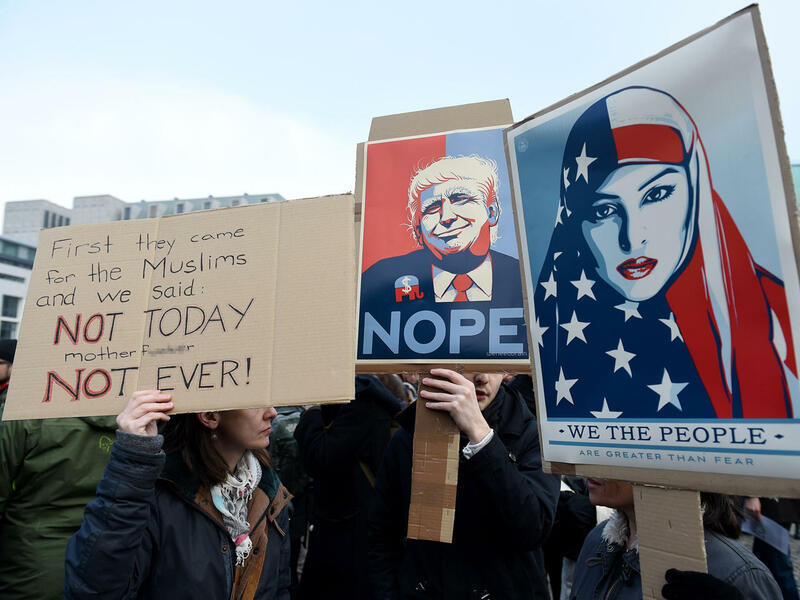 The 9th Circuit Court of Appeals announced it will not reinstate President Trump’s 90-day ban on travelers from seven countries: Iraq, Iran, Syria, Sudan, Libya, Yemen and Somalia. The government had asked for a stay of a temporary restraining order that suspended the implementation of the travel ban. “[T]he emergency motion for a stay pending appeal is denied,” the court’s ruling concluded. Travel ban suspension upheld; what happens now? Therefore travelers from the seven countries will continue to be allowed into the U.S., pending further legal action. This was an unsigned opinion that appears to be unanimous. It rejected the Trump administration’s argument that the government has broad deference in matters of national security, says CBS News’ chief legal correspondent Jan Crawford. The panel also disagreed that the government’s decisions are unreviewable, and to that end, considered Washington’s and Minnesota’s arguments on due process and religious discrimination. The panel felt that there is a strong likelihood the states would prevail on the merits of the case, so the temporary restraining order, which is now essentially a preliminary injunction, will remain in place while the lower courts consider the legality of the travel ban. Shortly after the decision was handed down, President Trump implied the legal fight will continue. “It’s a decision that we’ll win -- in my opinion -- very easily,” Mr. Trump said. Mr. Trump said he would make a decision “over the next week” about picking a solicitor general, the person who represents the federal government to the Supreme Court. “We look forward to prevailing,” Conway said. On Saturday, Judge James Robart, a George W. Bush appointee, issued a temporary nationwide restraining order blocking the ban after the law was challenged by the Washington state and Minnesota. Then Tuesday, Justice Department argued before the 9th Circuit that it is within the president’s powers to deny entry to immigrants entry into the U.S. for national security reasons, and also questioned whether the states have standing to bring the lawsuit. During the oral arguments on Tuesday, August Flentje, a lawyer with the Department of Justice, argued that the executive order is constitutional because Congress gives the president authority to deny entry to the country to individuals when there’s a concern they could be harmful to the country. The judges appeared to be skeptical of the government’s proof for why the executive order is necessary, and also pushed back when he suggested the public statements of Mr. Trump and other advisers about a proposed Muslim ban shouldn’t be used to determine the intent of the executive order. But Judge Richard Clifton, a George W. Bush appointee, also challenged the states’ claim that the ban targets Muslims, noting that by his calculation, just about 15 percent of all Muslims worldwide would be affected by the ban. House Minority Leader Nancy Pelosi issued a statement Thursday night calling the ruling a “victory for our Constitution and our fight against terrorism.” Pelosi, one of the most powerful Democrats in Congress, said her party would continue to fight the “dangerous and unconstitutional” ban. The American Civil Liberties Union praised the ruling on Twitter.